Haley Augello is an American freestyle wrestler who competed at the 2016 Olympics. She is a 2013 graduate of Lockport Township High School. In 2016 Augello won the American trials at the 48kg category. 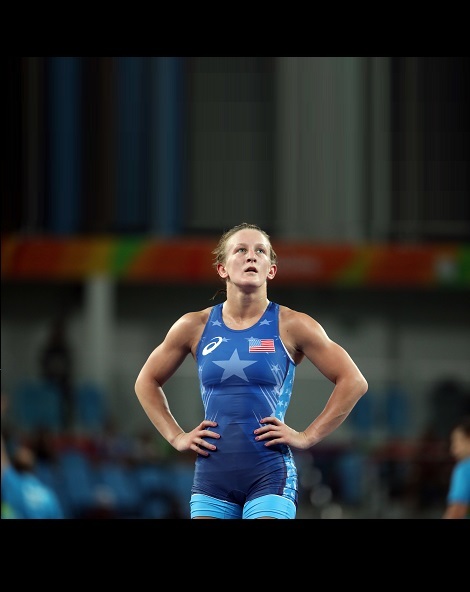 At the 2016 World Wrestling Olympic Qualification Tournament 1 she finished in 2nd to qualify for the Olympics. At the 2016 Olympic Games in Rio she finished 7th overall in women’s 48 kilogram freestyle wrestling.